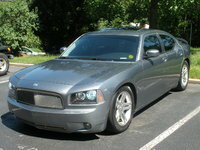 CarGurus has 17,826 nationwide Maxima listings starting at $1,995. The premium 2005 Nissan Maxima is a luxury midsize sedan that offers lots of room, plenty of comfort, and a good deal of satisfying performance. The 2005 Maxima comes in sporty SE and high-end SL trims, each with a 3.5-liter, 265-hp V6 engine. A 6-speed manual or 5-speed automatic transmission is available. The roomy sedan easily fits four, with good legroom front and back. The standard SkyView glass panel that stretches the length of the cabin makes it feel much bigger and airier inside. A traditional power sunroof is optional, as the SkyView does not open. 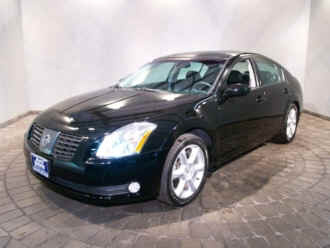 New in the 2005 Maxima is improved traction control, new chrome trim for the inside, and auto-dimming exterior mirrors. An Advanced Airbag System for the front seat is also new. Satellite radio is added to the options list this year. 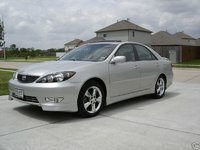 The sporty SE trim comes with large 18-inch wheels, a sport suspension, and power windows and locks. The SL ups the luxury quotient with heated leather seats, power seats, wood trim, and Xenon headlights. Optional heated rear bucket seats are available in both trims, maximizing passenger comfort. 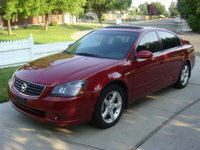 Good engine power and a fast ride are compliments the 2005 Maxima receives from owners. Lots of room and comfortable seats add to the overall experience. Drivers also like the handling and solid feel on the road. The most notable complaint was about heavy torque steer and the Maxima's wide turning radius. 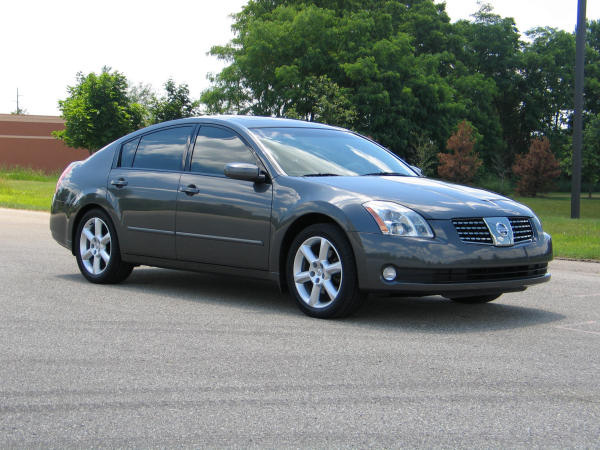 What's your take on the 2005 Nissan Maxima? Users ranked 2005 Nissan Maxima against other cars which they drove/owned. Each ranking was based on 9 categories. Here is the summary of top rankings. Have you driven a 2005 Nissan Maxima?